My Time with Jane by Miriam Bruening. 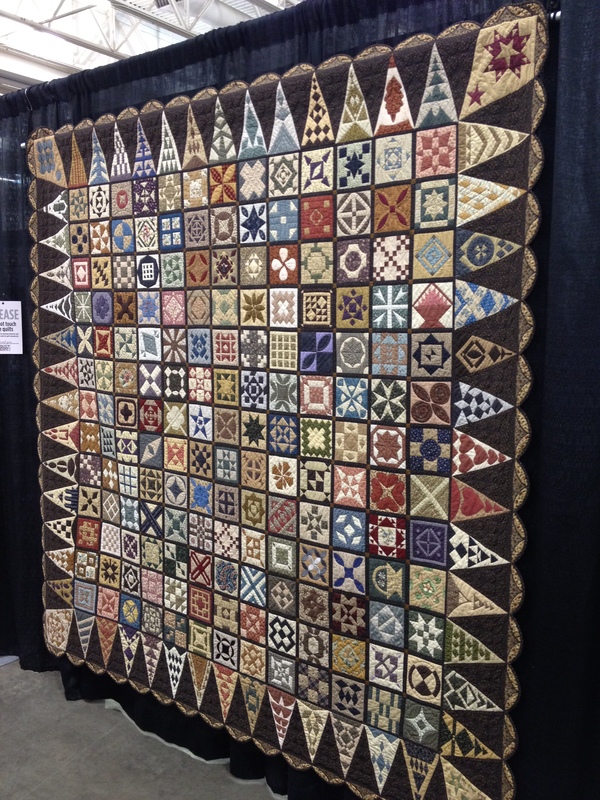 Displayed at the Madison Quilt Expo, September 2012. Photographed by the CraftProwler. Free Blocks of the Month (BOMs) for Dear Jane quilts are available here. The Dear Jane complete autographed book and templates are available here, and the Amazon copy of the book is available here. Note: A woman named Brenda Papadakis seems to be the leading expert on Dear Jane quilts. Two of the links above go to her website/book. Internet rumor is she also responds to email requests and is a very helpful person in general. A ton of block tutorials are available on this website. The tutorials are linked on the right side of the page, just below the Google members. Another blogger has drafted her own Dear Jane templates and posts photos online here. Scroll to the bottom left of the page to see additional redraft links. Dear Jane foundation piecing tips are available on this blog. Hope this helps some of you Dear Jane enthusiasts! Categories: Quilts | Tags: block of the month, block tutorial, blog, book, brenda papadakis, dear jane, foundation piecing, free, madison quilt expo, patchwork, posts, quilt, quilting, resources, sewing, templates, tips | Permalink.